This English translation of a classic Tamil novel, set in the diverse, polyglot world of Penang in the immediate aftermath of the Second World War, is a delight to read. Beyond the Sea tells the story of Chellaia, a young man working in a money-lending business, who fancies his boss’s daughter. When his life as a moneylender is disrupted by the Japanese Occupation of Malaya, he, like many of his peers, joins the Indian National Army. After the army disbands, Chellaia and his fellow soldiers remain close friends, looking out for each other. Chellaia is eager to rebuild his life but, as the war has changed him, he finds it difficult to adjust to his old job. Worse still, he is no longer deemed a suitable match for the woman he had hoped to marry. 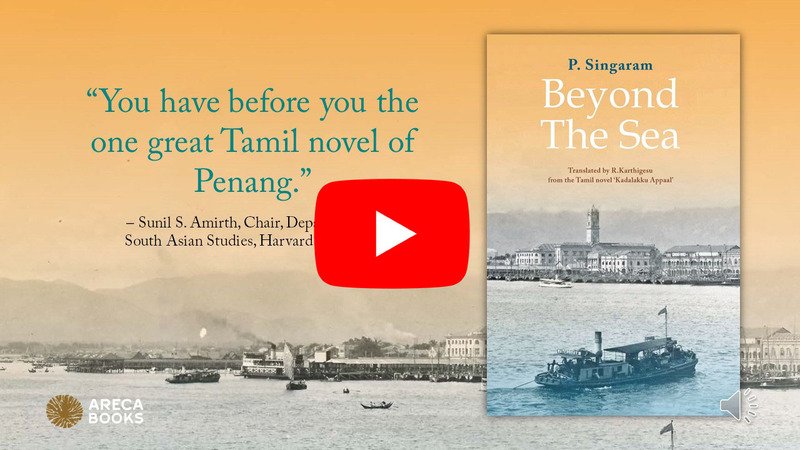 Translated into English for the first time by the late Dr R. Karthigesu, Beyond the Sea will be pre-launched in Chennai at the The Hindu Literary Festival in India, 12–14 January 2019. Click below for the book trailer of Beyond the Sea. About the author: P. Singaram (1920–1997) is considered one of the foremost Tamil novelists of the modern period, despite having authored only two novels, both set in Southeast Asia, where he spent many years as a young man. While living in Medan, Singaram visited the nearby port of Penang often, where he found solace in the Penang Library, and inspiration for his novels. About the translator: Dr Ranggasamy Karthigesu (1940–2016) was a former professor of Mass Communication at the University of Science Malaysia, where he taught broadcasting and journalism. Before this, he was a well-known broadcaster with an illustrious career with Radio Television Malaysia (RTM). An award-winning author, he wrote five novels, five short story anthologies and two collections of literary essays in Tamil.